At the time when the Jews were forced to convert to Catholicism or face expulsion from Portugal in 1496, there were three vibrant Jewish quarters in Lisbon. Firstly the Judiaria Grande, close to the present-day church of Sao Nicolau, in the street of the same name, and secondly, the Judiaria Pequena, located where the Bank of Portugal stands today, in a street parallel to the Praca do Comercio. 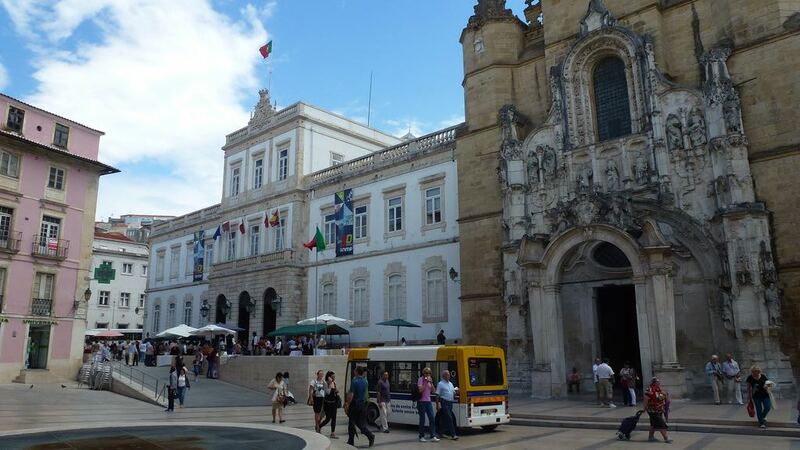 As you know, much of Lisbon was destroyed in the 1755 earthquake and the street plan was significantly altered. 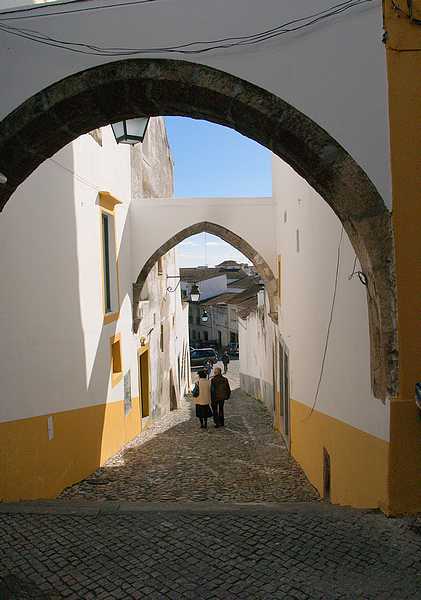 The Jewish quarter in the Alfama neighbourhood survived the quake so to get a sense of the imprint of the city at that time, you should explore Alfama’s oldest street, Rua da Judiaria, where you can still get a feel for the lives of the Portuguese Jews who lived here. The ‘Marranos’ who converted from Jewish faith to Roman Catholic were subjected to significant pressure in the capital in the early 16th century. In 1504 a riot took place in Rua Nova. You can visit the memorial plaque in Largo de São Domingos to honour the thousands of lives lost in the subsequent two-day massacre of 1506 which started in Igreja de São Domingos and swept along Rua Nova. Despite the inherent danger, many of the city’s new Catholics maintained their original traditions in secret. There was a clandestine synagogue inside a house in Rua da Moeda which you might want to read more about. Although the end of the 15th and all of the 16th and 17th centuries were devastating, the Jewish population was again to flourish in the 1700 and 1800s when Sephardi Jews migrated back from Morocco and Gibraltar. A number of private synagogues were built and by 1868, the community was approved to open a Jewish burial-place. You should visit the new Museum of Portuguese Jewish History in Lisbon to learn about the city’s history including the role it played in facilitating the safe passage for thousands evacuating Nazi Germany. (You can also walk past No.16 Rua do Monte Olivete to see where those seeking exile lived). 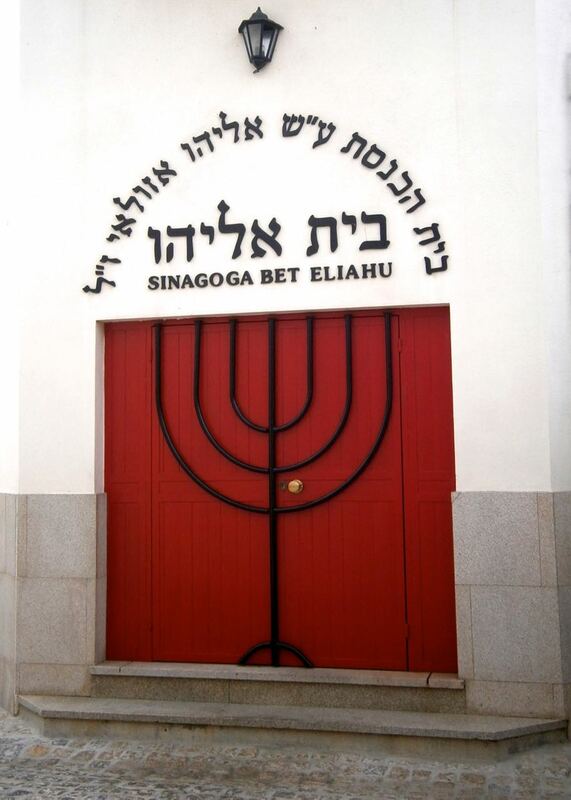 And you should see the city’s modern synagogue, The Doors of Hope, built in 1904, at 59 Rua Alexandre Herculano. And finally, if you’re staying a few days in Lisbon and are taking a daytrip to Sintra, near Lisbon, seek out Beco da Judiaria there. 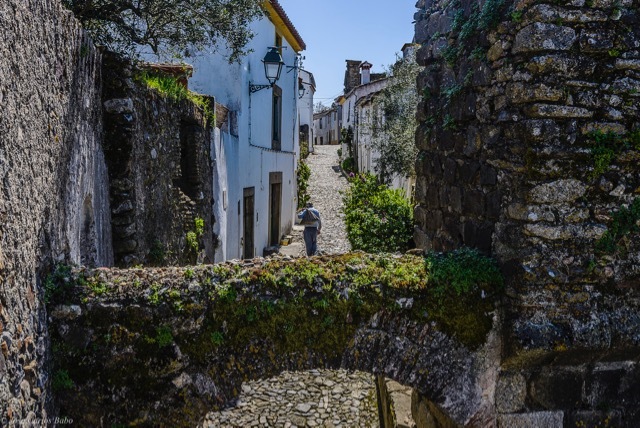 A beautiful destination in Portugal for many visitors – Evora has a dark past when it comes to its treatment of the Jewish community – illustrated by the recent discovery of 12 Jewish bodies located in the yard of what was the Court of the Inquisition. While the facts are still emerging, it appears they probably died from starvation or neglect rather than torture – which was the case for many others. To learn about the city’s history start at Evora Museum where you can see the Inquisition’s money box and bench. It was in Evora that the Inquisition was first established in 1536 – with another office set up later in Lisbon and a third in Coimbra and a fourth in Goa. 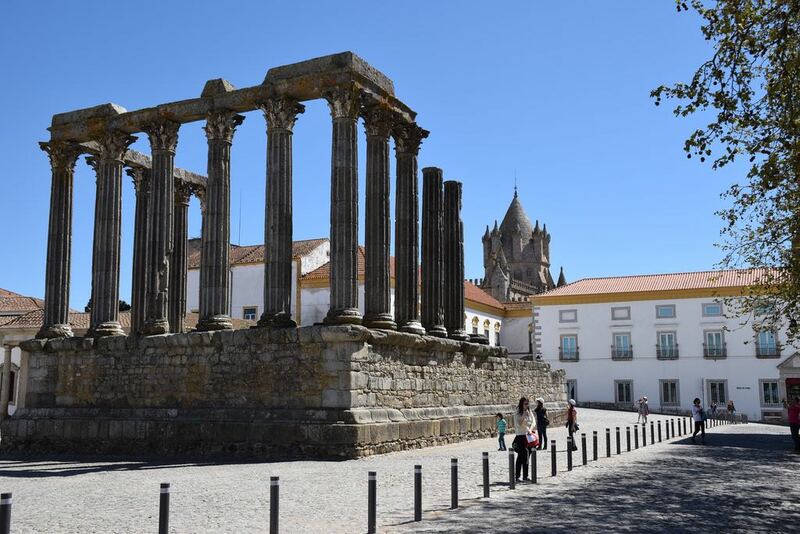 The others were invaded or destroyed when the Inquisition was abolished in Portugal in 1821 but the office in Evora was preserved as the building passed into private hands. Today, you’ll see the former Court of the Inquisition still displaying the cross with the sword and olive branch – you’ll find it just across from the city’s museum. Until the 16th century, the area located behind the present day’s tourism office was the Jewish quarter. At the time, Christians believed that the Bible prohibited them from charging interest for loans. 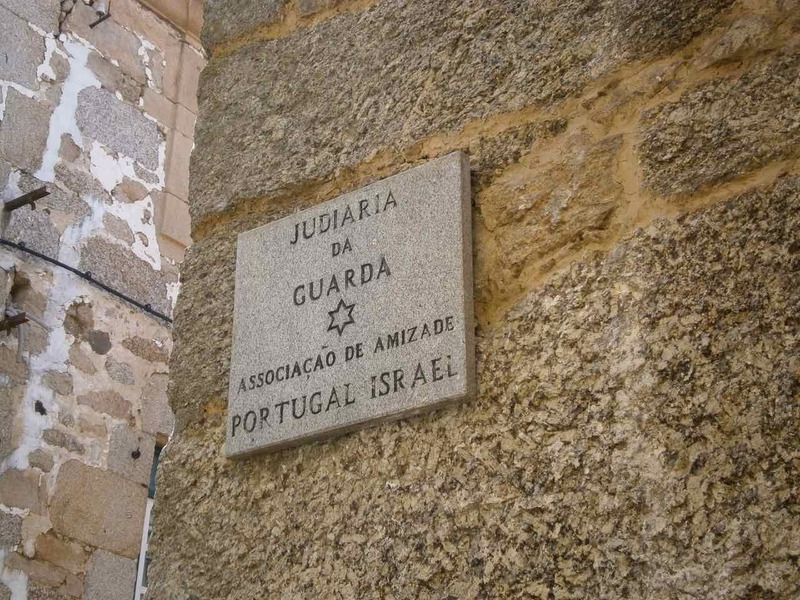 It fell to the Jewish community to handle moneylending and the streets in the Jewish quarter still bear names related to finance, such as Rua da Moeda (Money Street) and Rua dos Mercadores (Merchants’ Street). Keep an eye out for markings by the doors in this area – you may find the containers for the mezuzot parchment scroll. Make sure to visit the Roman Temple and the Bones Museum in the town too. And pick up some lovely ceramics. Best-known for its castle, this town was also home to a large Jewish community in the 14th century. The Judiaria ran from the castle gate to the Fonte da Vila (fountain) and onto Rua Nova. Visit the restored medieval synagogue at the corner of the Rua da Judiaria and Rua da Fonte that includes a stone ark for the Torah and see the Arcario House where Jewish taxes were collected. Many of the houses in the Jewish quarter still have door indents or markings. Enjoy the Jewish quarter and walk up to the 14th century castle. Closeby and visible from Castelo de Vide, the mountaintop “Eagle’s Nest” has a breathtaking panoramic view. Call into the Municipal Museum inside the walled town which exhibits two tombstones with Jewish inscriptions. It’s said that the town was a frontier post for the Jewish community coming from Spain in the 14th and 15th centuries. Born inside the walls of a convent in the last 12th century, this is no ordinary town. It was the last Templar town to be commissioned. The Convent of Christ, one of the chief works of the Portuguese Renaissance, has been compared to a rose – and the peeling back of the layers or petals is certainly very rewarding. But this town has lots more to offer – including the Jewish Museum on the site of the 15th century synagogue. 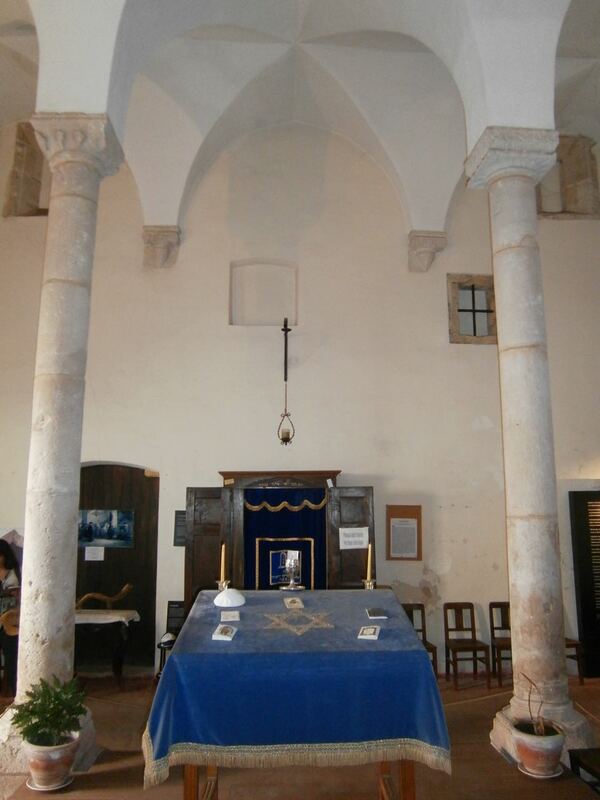 The small Jewish synagogue not only offers a glimpse of 15th century Jewish architecture in Portugal, it reveals the prosperity in which the community lived at this time. After the decree in 1496, the Gothic gem was bought by a private individual. The site became a prison for three decades from 1516. It is recorded as being a hayloft in the 19th century. It was operating as a general grocery story when it was visited by a group of archaeologists in 1920. By 1921 it was classified as a national monument. 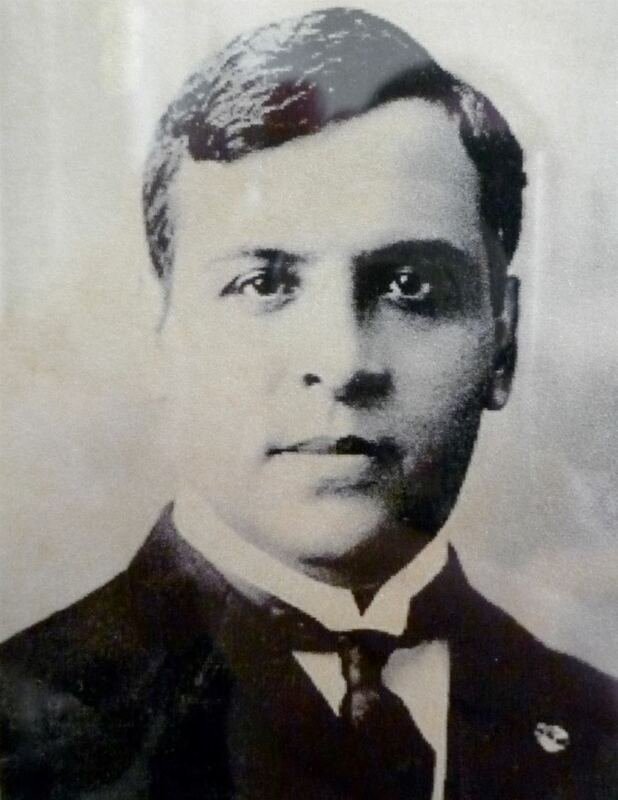 It was purchased in 1923 by a Jewish engineer Samuel Schwarz who had moved from Poland to Portugal. Schwarz personally financed the initial restoration and donated the building to the state in 1939. 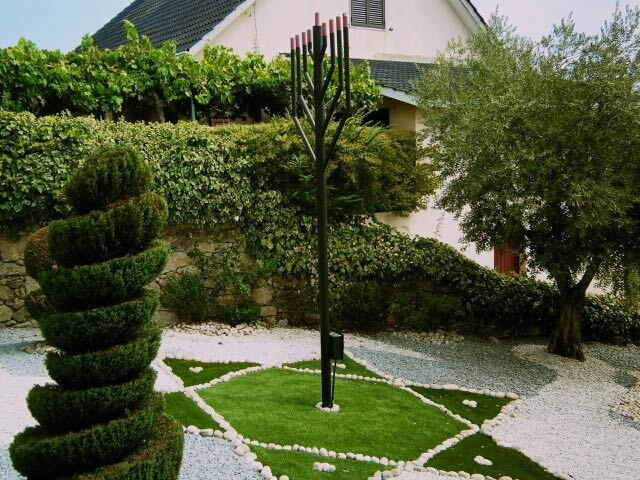 Close to the border with Spain, Belmonte is a very special, albeit tiny, town and is known today for its Jewish or Crypto-Jewish community that has been in residence since the 13th century. 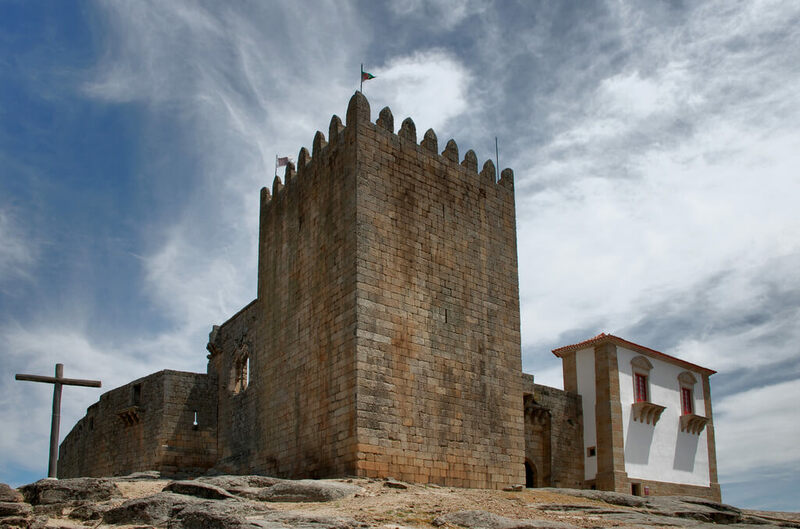 Belmonte was home to the largest Jewish community in Portugal up until the late 15th century when a large percentage of the community exiled to avoid persecution. But it’s those who stayed on that make Belmonte so unique today. 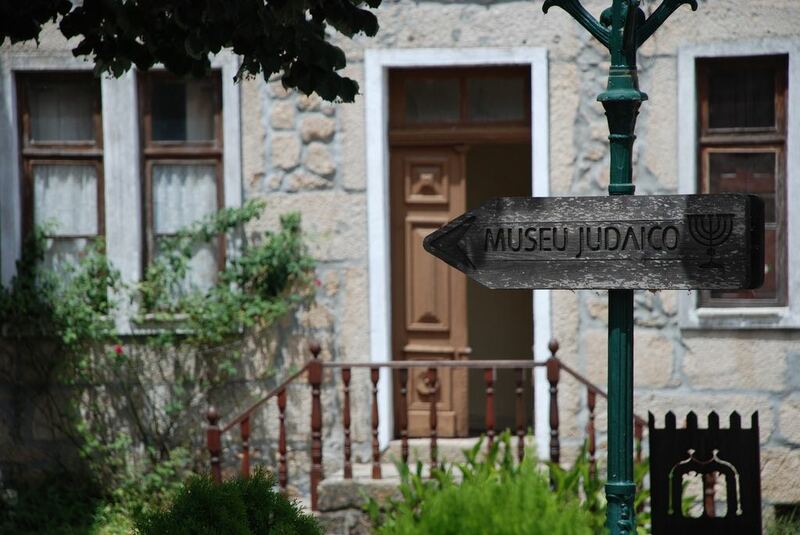 Start your visit at the town’s Jewish Museum (The Telegraph Newspaper has singled out this museum, as one of Portugal’s best small museums) and learn more about the history of the Portuguese Jews, their involvement in mainstream Portuguese medieval society and the subsequent history of persecution. 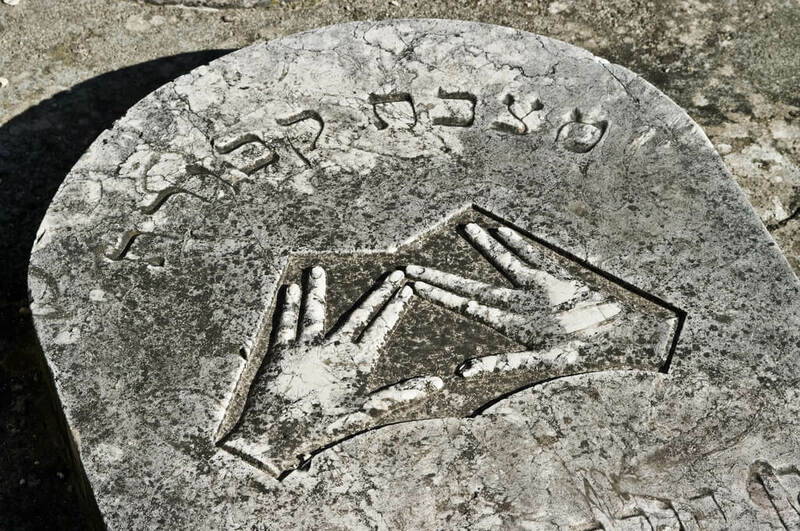 You will also find information about the recent history of this Jewish community. When you leave the museum, make for the restored Jewish quarter where you’ll find a modern synagogue built in 1996 that serves its community of about 300. The community abandoned its secrecy in the early 1990s when it cut its ties with the Roman Catholic church. It formally converted with the building of its synagogue in the 500th anniversary of the edict of expulsion. As you walk about Belmonte, you’ll find a community that is still re-awaking and opening itself up to the wider public – take for example the Rural Embroidery Solidarity Movement of Belmonte, that is making kipas using skills that have been passed down from family to family for generations. 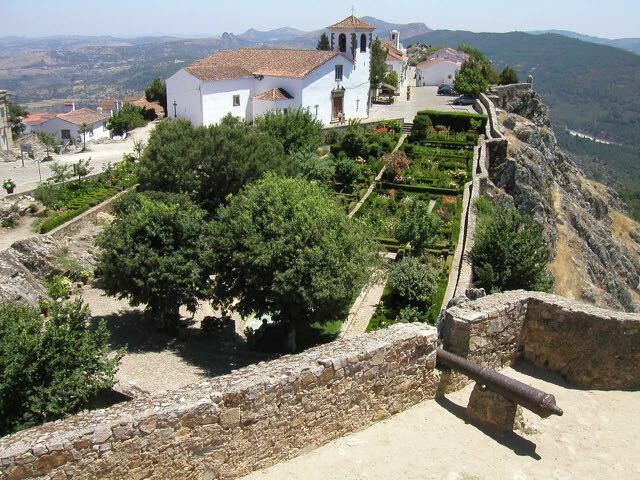 Enjoy the views of the historical town of Belmonte from the castle built in 1258. Just 25 minutes by car from Belmonte, you’ll find Guarda – where the Jewish presence can also be documented back to the 13th century. The Jewish Quarter was located inside the walled city, near the hustle and bustle of the commercial area. Seek out the area located between the King’s Door (Porta d’El Rei) and the church of Saint Vincent to get a sense of the outline of the Jewish quarter. In addition to a synagogue, the Jewish neighbourhood also contained its butchers, a watermill to grind cereal, water supply wells and a place of burial. By the mid-15th century, the Jewish community numbered somewhere between 600 and 850 and this dynamic neighbourhood included tailors, shoemakers, tanners, blacksmiths, weavers, doctors, surgeons, goldsmiths and carpenters. 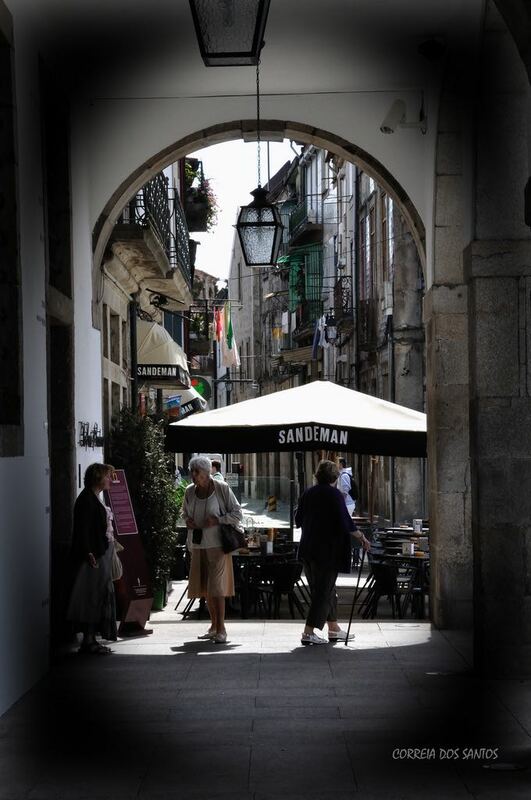 Look for Rua do Amparo which was formerly Rua Nova da Judiaria, where you can still find a doorway that was used by the night watchman who controlled access from the Judiaria to the city. The walled town of Trancoso where Jewish mercants first settled in the 12th century is also embracing its Jewish heritage. Visit the Isaac Cardoso Center for Jewish Interpretation and the new synagogue. You’ll be directed from there to the façade of a house that is decorated with emblems that have been interpreted as representations of the Lion of Judah and the Gates of Jerusalem. It was the house of a former Rabbi of this community which doubled up as the unofficial synagogue. Retrace the town’s history for yourself by visiting the Black Cat House and number 5A in Praça D. Dinis where a Shema scripture was found. Back in 2013, a number of workmen came across a series of ancient baths in Coimbra believed to be Jewish mikvahs on Rua Visconde da Luz, 21. Rumours suggest these baths could be the oldest mikvahs discovered in Europe. To acquaint yourself with the Jewish quarter you should start at Santa Cruz and Rua Corpo de Deus. Seek out the Jewish Fountain on Rua Olímpio Nicolau Rui Fernandes. And visit the Patio of the Inquistion – which although it bears little resemblance to its original purpose, is nonetheless poignant. You may be given access to see the torture chambers. Equally poignant is the Praça 8 de Maio, Largo de Sansão – where an auto-de-fe took place. These ‘acts of faith’ were rituals of public penance. The first took place in 1481 in Seville. 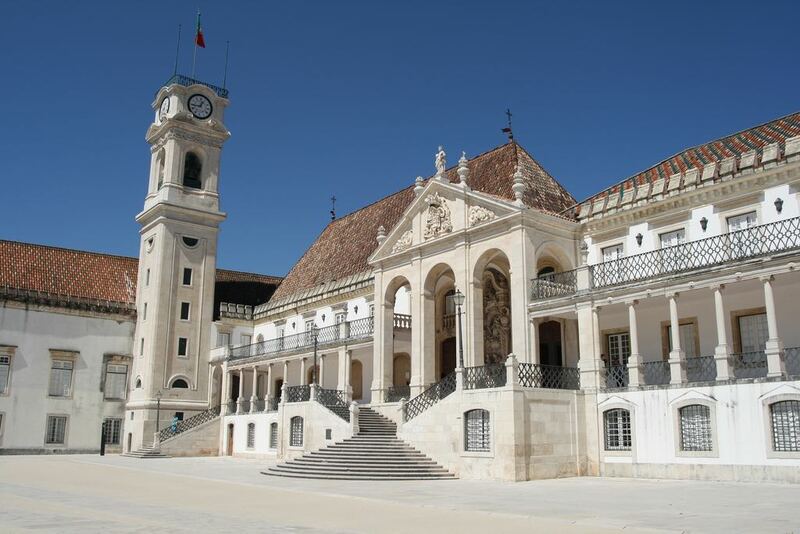 Coimbra’s first took place in Praça do Comércio in 1567 – 27 men and 72 women were condemned – six women were burned to death. And that wasn’t the worst day. More women than men were tried – it appears that New Christian women were perceived to be responsible for secretly passing on the Jewish traditions and suffered for this responsibility. After taking stock of these harrowing events, we recommend you lose yourself in this famous university city (which transferred from Lisbon here in 1537) and take comfort from the DNI studies which report that as many as one in five Spanish and Portuguese are of Jewish lineage. Any visit to Porto should begin at the Kadoorie Mekor Haim synagogue which was built in 1938 to accommodate the growing Jewish community in the city in 1920s and 1930s (from Lithuania, Poland, Germany and Russia). It is the largest synagogue in the Iberian Peninsula. You will be told here that many refugees in 1940 stayed at the Synagogue. In fact, the synagogue’s Museum on the first floor was the headquarters for the charity “Committee for the Assistance to Jewish Refugees” and was where many the families passing through Portugal to safety actually lived and slept. 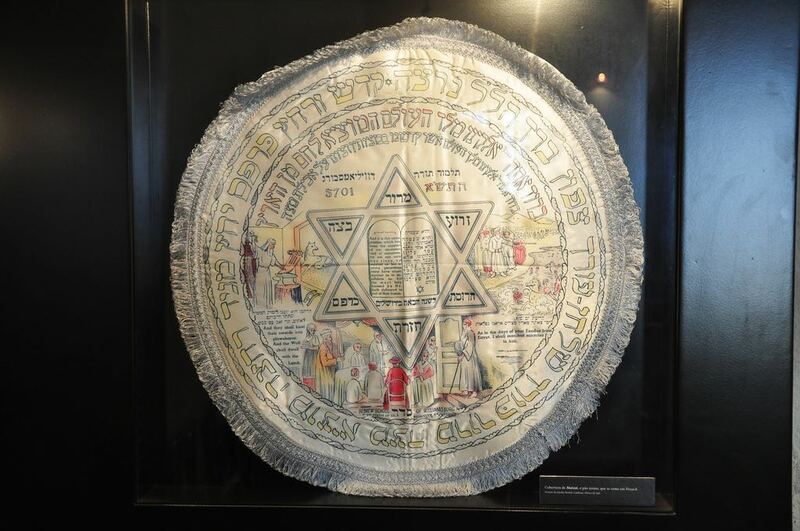 Today the museum remembers the 842 New Christians who were prosecuted for “heretical Jewish practices” between 1541 and 1737 and all those who passed through Porto since. It has a close connection with the Jewish Community in Golders Green so you’ll find a lot of information in English. 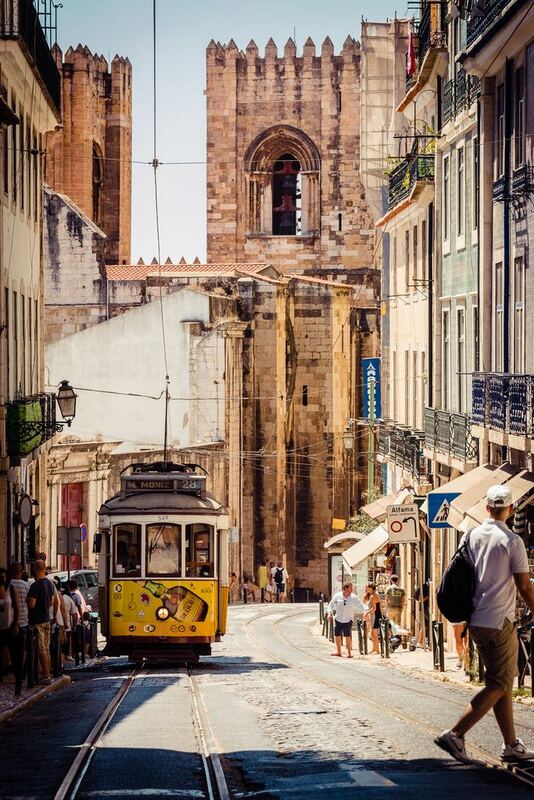 After seeing the museum and synagogue, you should seek out Rua de Sant’Ana which was formerly known as Rua da Sinagoga and was a focalpoint for the Jewish community in the 12th century. 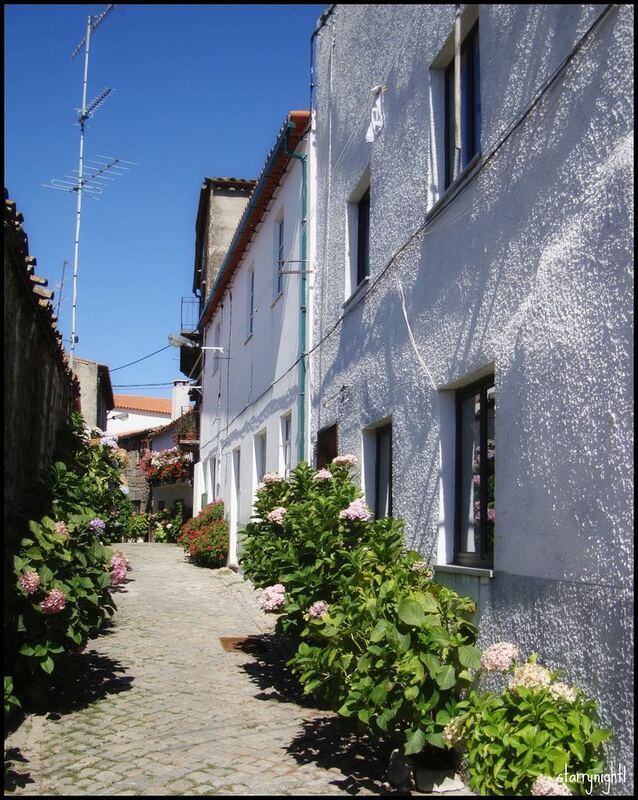 In the 14th century, the Jewish quarter of Monchique was built – look for the Bandeirinha area today. In the same century the Olival neighbourhood was established – on what is now Escadas da Vitória (Steps of Victory) formerly known as Escadas da Esnoga (the Steps of the Synagogue). It appears that the city’s Jewish community was more depleted by the 1618 inquisition in the city than the 1496 Edict which the synagogue reports as “not having the same effects as in other latitudes”. 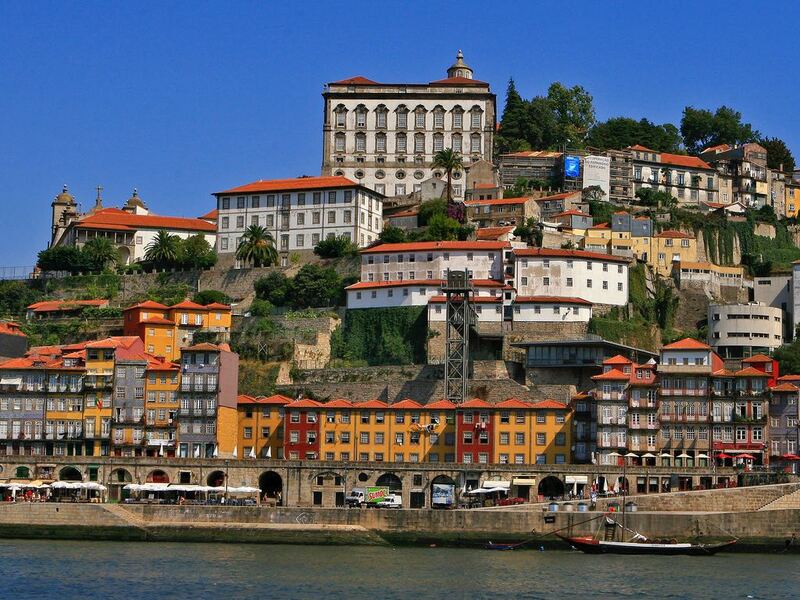 Today, Oporto is a thriving city and its Jewish community is stronger than ever. The city has a great advocate in its mayor, Rui Moreira, who is the grandson of German Jews, and has attended commemorate events held by the local Jewish community. He is part of this new chapter in Jewish history – where those who stayed on help those who are returning to learn about their past. Posted in Portugal, Sephardi Spain and tagged Alfama, Aristides Sousa Mendes, arquitecture, auto-de-fe, Bandeirinha, Belmonte, Black Cat House, Cabanas de Viriato, Coimbra, Crypto-Jewish, Eric Moed, Evora, heritage, History, inquisition, Jewish, Judiaria, Lisbon, Marvão, mezuzot, museum, Porto, Portugal, synagogue, Tomar, torah, Trancoso.